These are vintage glass cabochons that were made in Japan. 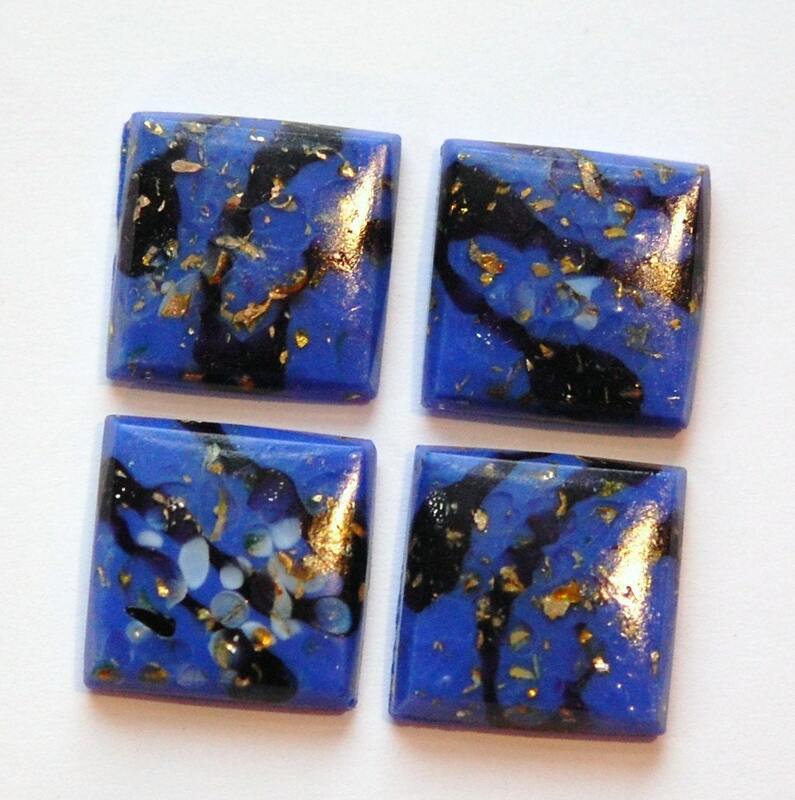 They are blue glass with swirls and streaks of black and sprinkled with foil inclusions. These measure 15mm. You will receive 4 pieces. I am posting these in other colors too.